One of the major issues we discussed with legislators at the recent Bicycle & Pedestrian Day at the Capitol was the issue of transportation funding. If the General Assembly does not pass some kind of funding solution this year, MoDOT will not be able to match its entire federal transportation allotment in 2017, and will have to return over $100 million that year. If no solution is found next year, MoDOT will have to return over $400 million in 2018, and each year thereafter. So motivation is high in Jefferson City to solve this problem. We have, however, proposed an amendment that would allow road and highway dollars to be spent on bike/ped needs on those roads--sidewalks on roads that go through cities and towns, crosswalks and busy intersection, bike lanes on roads that need them, and so on. That proposal has received little support from legislators so far--it is a long term project to educate legislators and voters on the issues and the need. Earlier this year, we testified about these issues at the Senate Transportation Committee hearing. Tuesday at we testified about these issues in the House Transportation Committee hearing. Tuesday the Senate took up its proposal to increase the fuel tax by $.02 per gallon. Several senators who are opposed to tax increases of any sort, led by Sen. Robert Schaaf of St. Joseph, filibustered the bill. The filibuster has, for practical purposes, ended any chance of passing a fuel tax increase this legislative session. It appears that a motor fuel tax increase proposal is dead in the Missouri legislature. 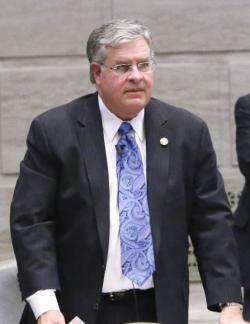 Senator Ron Richard (R-Joplin) said there doesn’t seem to be a way for the proposal to get past legislative opposition. House Speaker John Diehl, Junior (R-Town and Country), has said it appeared a solution for transportation funding would have to wait until the next legislative session that begins January 1. The Missouri Times article has more details about the Senate debate and filibuster. 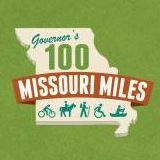 The MIssouri Bicycle & Pedestrian Federation continues to work to develop a coalition to support funding for needed bicycle and pedestrian facilities as part of any statewide transportation funding proposal and to educate lawmakers about this issue. Inclusion of bicycle and pedestrian funding as part of any transportation funding proposal has been identified by our members and supporters as a very high priority. Developing a world-class bicycle and pedestrian transportation system in Missouri is one of the primary goals of MoBikeFed's Vision for Bicycling and Walking in Missouri. Your membership and generous financial support helps turn our Vision into reality. Many thanks to the many members, supporters, and allied organizations and agencies who joined us for Capitol Day Monday. Your voices are making a real difference!